Several top Russian parliamentarians agree that the plot against Prime Minister Vladimir Putin, uncovered by Russian and Ukrainian special services, was an attempt to destabilize the situation in Russia in the elections period. 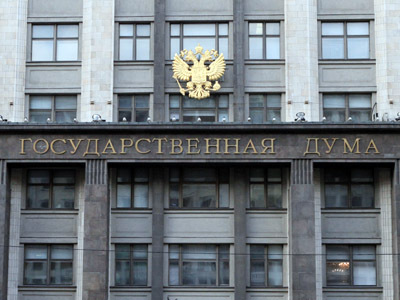 A former head of the Federal Security Service and now a State Duma deputy, Nikolay Kovalev, said that the number of reports on thwarted terrorist attacks is constantly increasing and the special services were right to treat such reports with due attention. He added that the fact that the attempt on Vladimir Putin’s life was prevented was proof that Russian special services were well-prepared and on high alert. 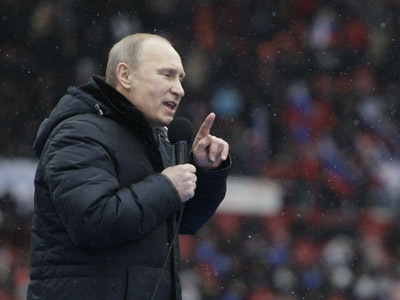 The parliamentarian also asserted that the international terrorists had set destabilizing Russia as their primary objective and that the most-wanted terrorist in Russia, Doku Umarov, who reportedly ordered the attempt, was targeting Putin personally because Russia’s enemies saw the prime minister as a guarantor of stability. The head of the Lower House Committee for Security and Countering Corruption, Irina Yarovaya, also stated the prepared assassination was an attempt to destabilize the situation in the country, as Putin was the main threat to criminals and terrorists. She added that the plans of an international terrorist group to assassinate Putin were proof that the anti-terrorist policy of the Russian authorities was justified and successful. The head of the Defense and Security Committee of the Upper House, Viktor Ozerov, told the press that the plot against Putin was an attempt to avenge the gradual and constant struggle against terrorism. “All Vladimir Putin’s actions, starting with his work as the FSB director and ending with hiscurrent position, have been aimed at fighting with bandit formations, organized crime and terrorism,” Ozerov noted. “Putin has stepped on the throat and tail of many a terrorist and this is why the preparations for such terrorist attack are hardly a surprise,” he concluded. Russian media reported on Monday that the security services of Russia and Ukraine had jointly uncovered a plot of several terrorists who planned to commit numerous terrorist attacks on Russian territory and kill Prime Minister and presidential candidate Vladimir Putin with a roadside bomb.